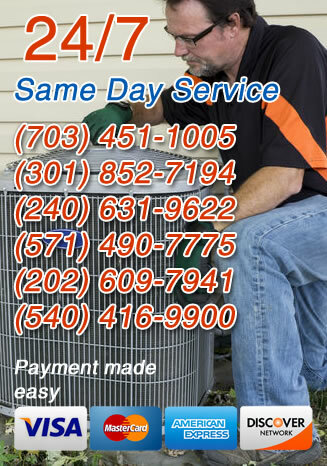 At Service Doctors, our Washington, DC area water heater technicians repair all makes and models of water heaters, no matter what the problem is. We provide fast and reliable service, and we make sure all of our customers are completely satisfied with the quality of our work. Feel free to call us any time you need a repair service, or if you would like to troubleshoot with one of our repair technicians. We’re always here to help, so call now! Contact us right away if you need an emergency repair for your water heater. This will reduce the chances of further damage to your water heater or plumbing system, and it can also prevent potential hazards. When you call us with an urgent repair need, we make sure to send our technicians into the field equipped and prepared to handle any issue with any type of water heaters. We respond to emergency service calls as fast as we can, so call immediately if you have an urgent repair need for your water heater. Annual maintenance visits for your water heater are essential in keeping your energy bills down and ensuring that you have an adequate amount of hot water in your home. One of the main complaints with tank water heaters is sediment build–up. If your water heater isn’t drained at least once a year, mineral deposits and hard metals in the water can clog your water heating system and cause it to work less efficiently. Even tankless models can have some buildup of scale or calcium deposits, so make sure you call us to schedule a yearly check–up and cleaning, no matter what type of water heater you have. Yearly exams also provide an opportunity for our technicians to look for any hidden minor problems or obvious damages, such as excessive corrosion or leaky pipes. After we make all the necessary on–site repairs, we test your water heater’s performance to make sure it’s running as efficiently as possible. Call us any time to set up a maintenance visit. Water heaters that are not properly sized before installation often wind up needing constant repairs and eventually premature replacement. Even if your water heater is well–maintained, tank water heaters that are too small for your home’s hot water needs can potentially break down because they will be overworked. Tank water heaters that are too large will waste a lot of energy warming a tank full of water that is not needed. Most manufacturers have DIY sizing calculators that homeowners can use to calculate their hot water usage and choose the right size water heater accordingly; however, there are many variables to consider, so it’s best to call us for professional recommendations based on the exact needs of your home. Our expert technicians are always prepared to tackle any water heater repair service for customers in the Washington D.C, Maryland and Virginia. area. We respond to emergency calls as quickly as possible, and we provide the most comprehensive water heater inspections and professional cleanings in the business. If you want quality services from a company you can trust, call Service Doctors for all your water heater repair and service needs.